I used my Pretty Pink Posh Stitched dies to create my quilt for the background. and coloured them in with my Zig Clean Colour Real Brush Markers and a water brush. I stamped my sentiment (from Wplus9's Gratitude) in Altenew Evening Grey ink. Some PTI rustic cream button twine finishes it off. You have until Friday, October 27th to link up your card. I am in love!! The quilted background is fantastic!! I love how that unexpected red trim just pops the quilt block! Your sentiment ink choice is a wonderful color choice too. Nice card, Leigh. Love that quilted background Leigh. 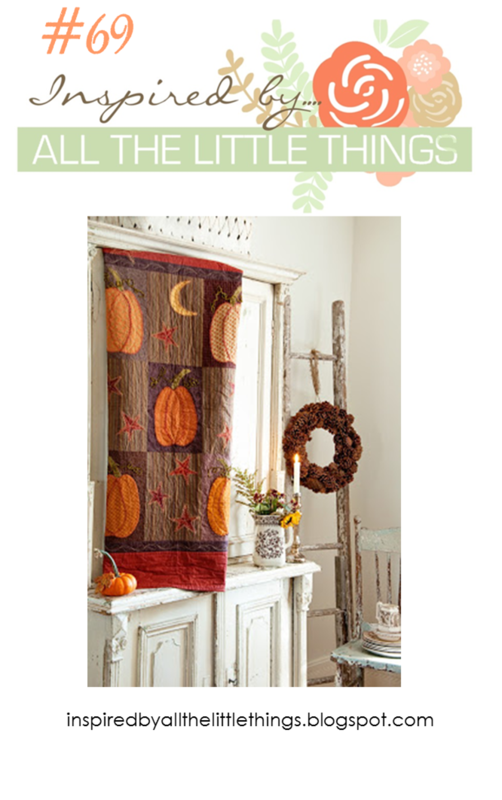 Your quilted background is a perfect setting for your pumpkin! I love the little quilt you created! Fabulous card Leigh. Such a sweet CAS design! Love the quilted background! Beautiful take on the inspiration! Love the quilt background!